An eight-time JUNO Award (Canada's Grammy) nominee for Best Contemporary Jazz Album, guitarist/composer Michael Occhipinti's inventive approach to creative music of all kinds has earned him a broad array of listeners and the respect of critics and musicians alike. Crossing genres that include jazz, chamber music, funk, world music, and anything involving modern guitar sounds, Michael is both a versatile musician and an imaginative band leader. His Sicilian Jazz Project has been called a masterpiece of cross-cultural fusion and has thrilled audiences in Canada, the U.S., Italy, and Mexico. Starting with field recordings of forgotten Sicilian folk music and reinventing the music as a mix of global genres, the project earned Michael a JUNO nomination, the 2009 Ragusani nel Mondo Award (which he and his musician brother Roberto received together in Ragusa, Sicily for their contribution to Sicilian culture), and a Chalmers Award that allowed him to live in Sicily from March - June 2010. Michael Occhipinti & Shine On: The Universe of John Lennon is Michael Occhipinti's newest project, selected by the staff at Jazz FM as a Top Pick of 2012. Typical of Michael’s willingness to challenge himself, the recording pulls off the tricky task of making some the best known songs in the world sound original and fresh. Shine On features the stellar vocals of Elizabeth Shepherd, Laila Biali, Dominic Mancuso, Yvette Tollar, and Denzal Sinclaire, and Michael's distinct arrangements of songs by John Lennon and the Beatles. The group has toured Canada’s music festivals from St. John’s to Victoria, and the record has received strong radio support in the U.S.A., Britain, and on Canadian radio, including live-to-air performances on CBC’s Q and on Jazz FM. The band turned heads at the APAP conference in New York, and is now booking shows for 2014 and beyond. 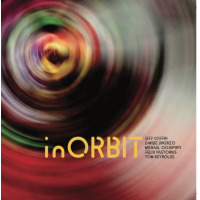 In 1994 Michael Occhipinti and pianist Paul Neufeld formed the 16-piece NOJO, The Neufeld-Occhipinti Jazz Orchestra, a group the Los Angeles Times describes as one of the most original sounding large ensembles on the current jazz scene. The group has released five recordings of original music, alongside their newest recording NOJO Explores The Dark Side of The Moon which features the band performing original arrangements of Pink Floyd’s classic album. All five of NOJO’s original music recordings have been JUNO nominated (including the band’s 1995 debut which won the award for Best Contemporary Jazz Album) and its music has intrigued a number of renowned guest soloists including sax great Joe Lovano, trombonist Ray Anderson, trumpeter Kenny Wheeler, and most notably clarinetist Don Byron and the late saxophone giant Sam Rivers, who both recorded and toured with the ensemble. NOJO has performed at such prestigious venues as the Umbria Jazz Winter Festival in Orvieto, Italy, The Jazz Standard in New York, and Montreal’s Festival International de Jazz de Montreal. 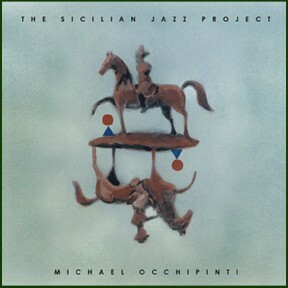 Michael Occhipinti has released numerous recordings under his own name since his quartet’s debut Who Meets Who? in 1994. In 2000, he released one of his best loved projects, the JUNO nominated recording Creation Dream -The Songs of Bruce Cockburn featuring ambitious arrangements of music by one of Canada's best-loved songwriters. Bruce Cockburn has described the record as his favourite interpretation of his music and in June 2010 he invited Michael to appear with his Creation Dream Quartet at Toronto's famed Massey Hall as part of the Luminato Festival’s tribute to Bruce Cockburn. The show featured such esteemed artists as the Bare Naked Ladies, Colin Linden, Silvia Tyson, and Bruce Cockburn himself. National Public Radio in the U.S. named Creation Dream as one of five Canadian CDs (alongside piano genius Glenn Gould) Americans should get to know. The recording featured Michael’s quintet that included Hugh Marsh (violin), Jonathan Goldsmith (piano) and Kevin Turcotte (trumpet) along with a guest appearance by Bruce Cockburn himself on guitar. In 2010 Michael Occhipinti and Paul Neufeld released the debut recording of their group The Triodes, Chunked, featuring the recording's producer Roberto Occhipinti on bass, Doan Pham on drums, and special guest Jeff Coffin from the Dave Matthews Band on saxophone. The Triodes explores instrumental r&b, funk, ska, and jazz inspired by groups such as Booker T and the M.G. 's,The Meters, and sonic pioneers such as Jimi Hendrix and Jeff Beck. The band is all about fun and funk, and has been a hit at the Rochester and Toronto jazz festivals. Michael Occhipinti is often described as a jazz guitarist, but in truth he sees himself applying a jazz improvisor's sensibilities to music that freely crosses styles and genres. Two of Michael’s compostions are featured on the 2014 Classical Juno nominated Canadian Concerto Vol. 1. by Guy Few (trumpet) , Nadina Mackie-Jackson (bassoon), and the string orchestra Group of 27. Michael has also written music for The Gryphon Trio, The Art of Time Ensemble, and is currently writing music for Quartetto Gelato. Michael’s versatile guitar palette and creative use of guitar effects can be heard in the Turkish electronic/psychedelic group Minor Empire, drummer Giampaolo Scatozza’s electronic loop driven group Junik, saxophonist Sundar Viswanathan’s Indian fusion group Avataar, and Michael’s own funk band Grooveyard and his work with soul/pop singer Lester McLean. Michael teaches jazz ensembles at the Royal Conservatory of Music, and has given clinics at universities and schools across Canada, the Netherlands, and Sicily. Michael Occhipinti has been profiled on Bravo TV's Arts and Minds, CBC television's On The Arts, CBC radio's Canada Live , CTV’s Mike Bullard Show and TV Ontario's Studio 2. His projects have been praised by critics worldwide, including the American magazines DownBeat and Jazz Times, Italy’s Il Sole and Musica Jazz, and newspapers in India, The Netherlands, and across Canada. Michael runs the funk/r&b band Grooveyard, and has performed with ensembles and individuals as diverse as The National Ballet of Canada Orchestra, Array Music, Bill Frisell, The Gryphon Trio, Andrea Bocelli, Trey Anastasio (from the band Phish), Paul Reddick and The Sidemen and others. Michael Occhipinti is also Artistic Director for the Markham Jazz Festival, where he has presented international acts such as Don Byron's New Gospel Quintet, Gretchen Parlato, Bill Charlap, The Jeff Coffin Mu'tet, Sheila Jordan, and John Pizzarelli, as well as the best in Canadian jazz and blues. Michael Occhipinti has served as the Artistic Director for the Markham Jazz Festival since 2009, growing the festival and presenting international artists such as Lionel Loueke, Bill Charlap, Don Byron, Dave Douglas, John Pizzarelli, Sheila Jordan, and Maceo Parker. All About Jazz musician pages are maintained by musicians, publicists and trusted members like you. Interested? Tell us why you would like to improve the Michael Occhipinti musician page.